We know mealtimes can be messy, but let’s steer clear of the ick factor. Lift™ Spoons are a clever way to keep your spoon and tabletop clean in between bites. Designed with details in mind, the base of the spoon keeps the tip elevated off of counters and away from germs. 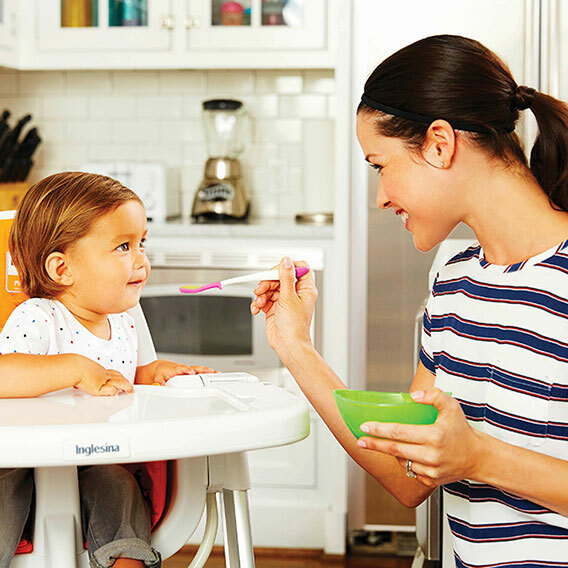 While baby might not know how helpful clean spoons are, they will love the bright translucent colors that catch the light and their curiosity. The super soft, BPA-free plastic is shaped like a spatula for easy scooping and gentle face-wiping duty.